Not many people say they have a passion for Portland Cement Concrete Pavement, but James (Jim) Cable did. The Iowa State University (ISU) civil engineering professor was a dedicated teacher and researcher. It’s this dedication that family, friends and industry partners want to memorialize in the Dr. James K. Cable PCC Overlay Scholarship. 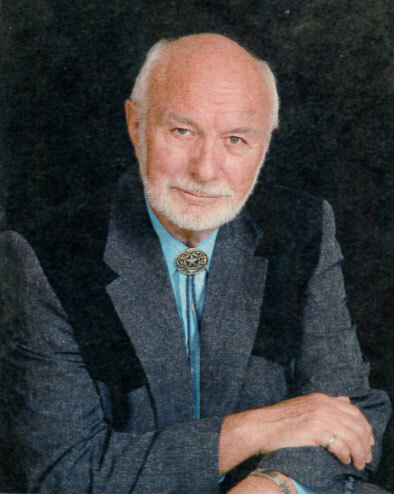 The scholarship was established in honor of Jim, who passed away in July 2018. The scholarship will encourage a new generation of faculty and students to dig into deep research of Portland Cement Concrete Pavement and its many applications. More than 50 donors contributed to the scholarship, with a mix of individual donors, corporations and cement associations from across the United States. Additional donations were made at Jim’s visitation, which took place on July 13, 2018. Recipients of the scholarship will be pursuing either a master’s or doctoral degree at Iowa State University’s Department of Civil, Construction and Environmental Engineering (ISU CCEE) and will have an interest in teaching or in working in the concrete paving industry in Iowa or surrounding states. Jim wanted this scholarship to serve as an incentive for students to carry on his own passion for Portland Cement Concrete Pavement. An enthusiastic teacher and researcher, Jim dedicated 20 years of his professional career to ISU CCEE. A native of Hudson, Iowa, Jim received his bachelor’s degree in civil engineering from Iowa State in 1964. He went on to earn his master’s degree in civil engineering at ISU with a specialization in transportation before earning his doctoral degree in transportation engineering from the University of Illinois in 1994. Over the course of his career, Jim would work with the Iowa Department of Transportation, the United States Army and Reith-Riley Construction Company in Indiana. He returned to Ames in 1985 to spend the final years of his career at Iowa State, retiring from ISU in 2008. Follow ISU CCEE on Facebook, Twitter and LinkedIn (search “Iowa State University Civil, Construction and Environmental Engineering” and “ISUConE”). NEW: now follow @isuccee on Snapchat and Instagram for the latest updates. Find our website at www.ccee.iastate.edu. Jim was a classmate and friend. He is missed by all who knew him. I am happy to see a scholarship in his honor. I had Jim (Professor Cable) for only one class but he made it so real world, down to earth, and applicable through his non-academic experience that he continue d to be a mentor, peer, and support to me during college and in my professional career. It was hard to know that we lost such a great person. But I am happy to see his legacy carried on through this fitting scholarship – applying some of his PCC research to airport paving was one of the last things we worked on.